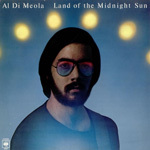 6moons: Al di Meola "Elysium"
What doesn't happen too often in our reviewing 'career' is to be petitioned about a record, be it CD or other medium. Most of the time—well, 99.9% of it—the music reviewed or bylined in a hardware review is purchased with our own money. 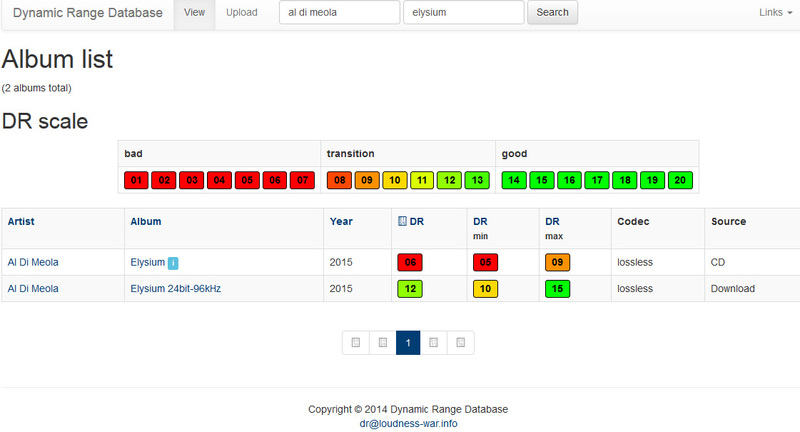 Hence being asked to review Al Di Meola's Elysium on vinyl pleasantly surprised us. We already owned the CD and absolutely loved its musical content. But… the mutilation the recording underwent before being transferred to lands and pits on polycarbonate had it badly emasculated. This was easy to hear when Di Meola's music throughout the years has always heavily relied on rhythm and dynamics. We practically grew up with the guitarist from New Jersey who became a constant musical presence in our own lives' soundtrack. That soundtrack is richly peppered with guitarists. When we first encountered Al, he'd just been hired by Chick Corea to replace Earl Klugh in Chick's legendary Return to Forever band. For us that group was a nice counterpoint for all the music Frank Zappa delivered to our collection. Whilst Zappa was and remains regarded as one of the best guitarists ever, Al Di Meola is at least in the same league and technically no doubt outperforms the late FZ. When Al recorded his first solo album Land of the Midnight Sun, it landed on our Philips 212 turntable as soon as it was released, then stayed there for a week straight. Yes, that turntable with the touch controls. We had ours mounted in a sand-filled wooden plinth. 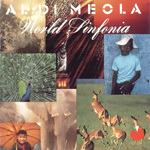 Starting with that first solo album, we'd eventually collect some 25 of Al Di Meola's records. His choices of collaborators led us to new musical insights and genres not mined before. A year still clear as a personal eye opener was 1982 when Al formed a trio with John McLaughlin and Paco de Lucia. Especially the latter put us on the path of flamenco and nuevo flamenco. Music by John McLaughling had already entered our collection from his contributions to Miles Davis in the late '60s through to his spiritually influenced psychedelic efforts with the Mahavishnu Orchestra, then Shakti and the heavy jazz-rock fusion group Mahavishnu. 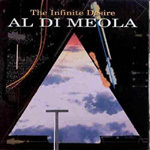 But back to Al Di Meola. 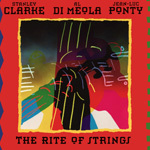 He too evolved to collaborate with Jean Luc Ponty and Stanley Clarke in an acoustic trio. That was followed by a period in which acoustic and electronic music fused in his World Sinfonia. By 2015 his entire musical œuvre had amalgamated into Elysium. When Di Meola's latest album arrived on vinyl, we discovered that the 24bit/48kHz master tapes had been transferred to two 180-gram records. To enhance playback quality, two choices had been made. One was to use DMM, direct metal mastering, the other was cutting the master for 45rpm use. Very audiophile we might say. 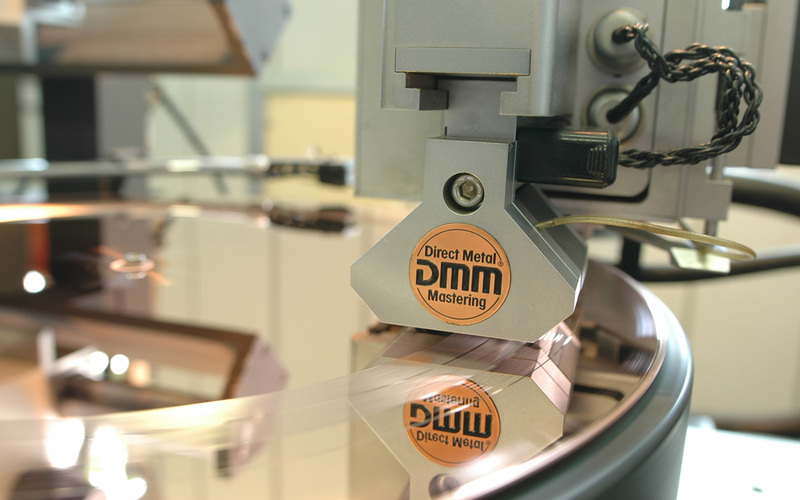 Pressing a vinyl LP involves a complex process that starts with transferring the master recording stored on analogue tape or digital disc to the so-called cut. The cut is made with a cutting lathe either in an acetate layer whose lacquer sits on an aluminium base; or in a copper layer atop an aluminium base. The latter process is DMM. For the lacquer version, the cutting lathe uses a sapphire stylus, for DMM a diamond. The etching of the groove is a reversal in fact of playing back an LP. Whilst spinning it, the groove walls and bottom set in motion the needle, stylus and cantilever. At the end of the cantilever, depending on the kind, sit two magnets that move inside a coil (or two coils which each move inside a magnet). Either way, a small voltage results. In the cutting lathe, that voltage comes from the master recording being played and is now used to move the cutting stylus whose two coils sits between two magnets. Once the cutting lathe has created a groove representing the master's music to fill one LP side to capacity, the next step is galvanizing the cut. A thin layer of silver gets sprayed on the disc's lacquer. Then the disc enters an electro-forming bath which builds up a nickel layer atop the silver. Once that layer is thick enough, it can be removed from the underlying lacquer. In case of DMM, there's no need for the silver layer. The nickel is applied directly to the copper. In either case, the cut groove then gets transferred to a negative called the ridge. The following step is practically the same as above except the just created negative becomes its original. The end result is another positive similar to the lathe cut. For safe keeping, the negative is archived whilst the new positive repeats the entire process to create the stamper which will then press the final groove into the vinyl. From the above it should be clear that DMM skips the silver-spraying step. With less being more, eliminating a potentially quality-degrading step is viewed as sonically advantageous. With the stampers for the A and B sides ready, they go into the stamping machine. Here granules of vinyl are heated and formed into a puck about the size of the label. That puck with the A and B label ends up between the machine's two stampers which close to pres the puck into the vinyl disc with A and B side grooves. It is amazing how this rather crude process can create such a finely detailed groove. There is some criticism about DMM cuts. Some say the sound is too bright, too metallic and not "warm like vinyl". Of course that's arbitrary. There are tons of lacquer-based LPs that sound edgy, thin or otherwise poor just as there are DMM LPs which sound wonderful. At the time of writing, we had our own Trafomatic Reference Phono One and on loan the NVO Audio PSA-one SE phono stage. Further amplification came by way of a loaner NVO Audio ISA-2 integrated or our own Trafomatic Reference One preamp with nCore 1200 monos. Either way the Feickert Blackbird turntable with Zu DL-103 needle was the front end and the Arcadian Audio Pnoe 100dB horns the back end. Elysium arrived in a gate fold sleeve, its inner sleeves softly lined. Remarkably the LPs didn't slide into the outer sleeve but sat loose. Time for side 1A of four sides that contain 13 tracks in total. Track 14 of the CD, "La Lluvia", got dropped due to capacity limits. Spinning an LP at 45rpm makes for some physical exercise in today's streaming world. Every 15 minutes one must get up and flip the burger - er LP or change it out. Once the needle hogged the groove and the volume sat at a normal level, we noticed how the LP straight from the pressing plant, hence without additional cleaning, was quiet like a tomb: no ticks, pops or anything to disturb the blackground. The liner notes detail which guitars Al played where and to a lesser extent also his collaborator's instruments. The opener "Ardour" sets the atmosphere for the entire album with its mix of acoustic and electric guitar lines. With compadres Barry Miles and Mario Parmisano on piano and keyboard, Rhani Krija adds subtle Moroccan percussion to a track that hints at Al's 1978 album Casino. "Cascade" follows with more Spanish influences and in its tonality is undeniable a signature track with lightning-fast licks inside a very rhythmic structure. On "Babylon" Philip Saisse's piano gets a more prominent part and Al takes his Les Paul out for a full-throttle ride on the highway. On the first B side the title track returns us to tranquility and lyricism in a very transparent soundscape. On 2A the "Amenjena" opener sets a nice pace and foot tapping is hard to avoid. "Sierra" has a few bows at Al's late friend and fellow player Pino Daniele. "Etcetera in E-major" and "Etcetera in E-minor" are in the World Sinfonia style, with the Roland VG88 prominent to create a mystical atmosphere. 70s' era Jazz-rock shows up with "Tangier", its fast riffs interlaced with staccato chords of guitar and keyboard. Here the percussion gets very edgy and the track stops abruptly. For his new wife, Al then composed "Stephanie", a very accessible song which even those who think of him as Mr. Zillion-Notes-A-Second will appreciate. The last track "Monsters" (plural though the gate fold prints it singular) seems like a reference to the 1998 record The Infinite Desire but now in more unplugged fashion.